A 30-Day Study of Psalm 91 Begins on March 1! We talked for years about traveling to the East Coast with our six children. It was one of those dreams you enjoy imagining but never think you’ll really do. But my father and stepmother decided we really ought to take that trip, and paid for all our plane tickets. So we went! I still remember very vividly our first few hours in Washington, D.C. almost eighteen years ago. If all my scrapbooks weren’t in storage, I would share a photo of the scene I have etched in my mind. We were standing at the opening in the sidewalk that led to a seemingly endless escalator that went down, down, down to the subway below. We were a tired, jet-lagged, fresh-off-the-farm family of 8. Our youngest was barely six years old. Our oldest turned 16 during the trip. I was a bit of an emotional mess after packing and planning for days, and then traveling across the country with six children and a zillion suitcases. I did not want to go down into that hole on that escalator. I didn’t want to go under the ground and try to get onto a train with all our children. What if everyone wasn’t on when the doors closed? That’s when Psalm 91 became my theme song for the five weeks we would be away from home. While we squeezed our way into subway cars, when we tried to cross D.C. traffic circles without getting run over, while we drove in a hurricane across a high bridge that literally disappeared into the clouds, when the roads to our campsite flooded and we split the family up into two motel rooms and the inebriated man tried to get into our room in the middle of the night, when we canceled our room reservation and then couldn’t find anywhere but the van and a picnic table to sleep on for a night — when God gave us opportunity after opportunity to trust Him — the Holy Spirit would bring the words of Psalm 91 to my mind and they would bring me peace. “He will command his angels concerning you to guard you in all your ways. I was glad I had become so familiar with Psalm 91 before our trip. The Holy Spirit took the words of that psalm and used them over and over to help me trust my Heavenly Father. He would take care of us. In the eighteen years since that trip, those same words have given me strength, courage, and hope again and again. So I’m looking forward to diving into Psalm 91 for a whole month together! For thirty days we’re going to soak ourselves in the tremendous promises of this wonderful psalm. With the Holy Spirit’s help, we will be changed people at the end of our study, better armed for the challenges that will surely come our way, more firmly committed to dwelling in God’s sheltering presence, and more secure in our confidence that He will answer us when we call on Him. If you have never done a Busy Mamas Bible Study with me, it’s simple. We’re going to do some deep study, but you only need 5-15 minutes a day, and those minutes can be in little snatches here and there throughout the day, if that’s all you can manage. If you want to get an idea of what we will be doing, check our my Instagram account for pictures! (5) Join the Busy Mamas Bible Study Facebook group if you want to share insights, pictures, questions, and resources with others who are doing the study. 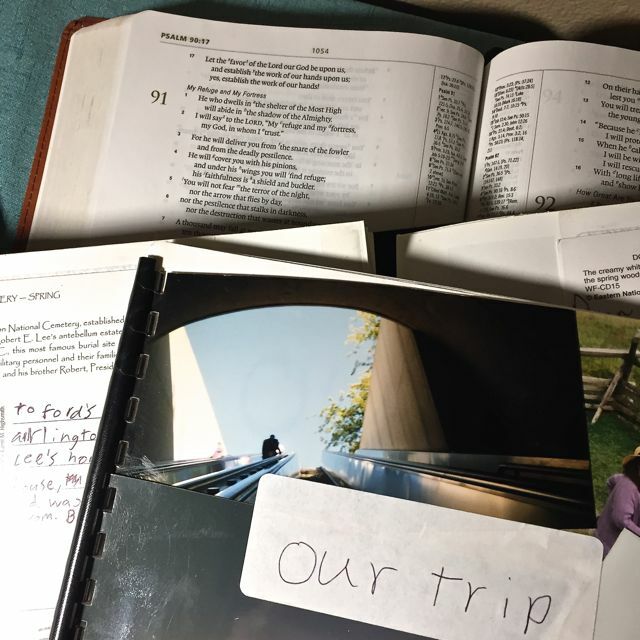 (6) Read this post, too, for some encouraging ideas, if you’re wondering how in the world you could possibly study the Bible with a house full of children, or with a baby that keeps you awake half the night. That’s it! There’s no charge, no books to buy. Start praying! I hope you’ll join us Monday, March 1! I can hardly wait! Showing Our Children How to Love God’s Word, PLUS a New 30 Day Study! New 30 Days Study Starts on Monday! Why is there an error? Everything is correct. Not really sure how to sign up for the Psalm 91 bible study. I’m already on your mailing list so maybe it’s automatic? Thanks. I also am not sure how to sign up! Looking forward to this – thank you! If you received this post as an email, you are already subscribed to the blog and will the first lesson in your email tomorrow. If you received the Doorposts newsletter telling you about the study and instagram account, but are not a subscriber to our blog, you just need to subscribe. On a computer, the subscription box is in the right hand sidebar of the blog page. On a smartphone, click the three lines at the top of the screen, to the left of our banner, and then click “Get posts by email” to subscribe. I am really looking forward to this study! I am wondering if it matters what version of the bible you use….. I typically use KJV, but I have more margin space in my NKJV bible. What would you suggest?